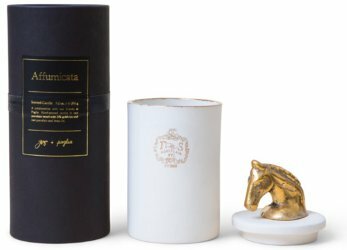 The third entry in our annual series on fragrance related holiday gifts is all about home fragrance. As always, please add any of your own picks in the comments! File under "Things I don't need at a price I would not pay", but it's still fun to look at the pictures, right? 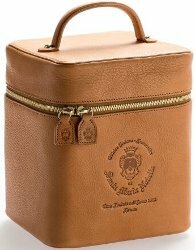 From Santa Maria Novella, the "Leather Beauty Case Top Box Model", whatever that might mean. 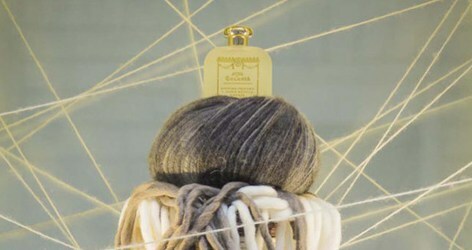 "Leather beauty-case naturally dressed and totally hand-made by Florentine artisans. The particular type of waterproof and stain-resistant leather makes this beauty-case aesthetically pleasing and practical for traveling." $348, and surely it would cart around enough decants and samples for your next trip. Why isn't there a bottle of this in my liquor cabinet already? Santa Maria Novella Elisir di Rose ("The Elixir of roses is a traditional liquor, based gallic rose syrup, which has digestive properties and vitamins through its petals. Ideal for flavour fruit salads, sherbet ice cream, tea, hot or cold. Great Aperitif: served with chilled white wine, preferably dry with sparkling wine or rum.") Yes, folks, vitamins! (Plus, 35% alcohol). And they also make Elisir di China, Elisir di Edimburgo, Cappuchino Liquore, Liquore Mediceo and several others (including a red one called Alkermes that is said to be an ancestor of Campari, and that probably would have cured my Lyme disease). Somebody pick me up a few next time you're in Florence, yes? 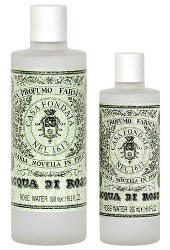 I could do a month of lemmings from Santa Maria Novella, but here's just one for our Enchanted April Friday: Acqua di Fior d'Arancio / Orange Blossom Water. "Orange blossoms from the sun-soaked orchards of Sicily make this invigorating water a treatment for purifying and toning the skin. The Dominican Friars used this water centuries ago to obtain relief from the common cold by soaking a clean wash cloth and placing on chest or nose. Today, add a splash to your bath to soothe tired muscles or apply a touch to your body or to linens as a refreshing fragrance." Available in 250 ($35) and 500 ($60) ml.